Your motive doesn’t really matter. Maybe you want smoothies in your daily rotation because you love the speed and ease of making them: Cut some fruit, throw it all together in the blender, hit “Purée,” and you’re ready to rock! Or perhaps you’re trying to make the first meal of the day healthier and less dependent upon many of our cholesterol-laden breakfast favorites. Whatever the reason, you already know that one of the most attractive benefits of smoothies is that the number and kinds of blends you can make is nearly endless. Of course, you want to choose fruit that’s either frozen or fresh and in season (and remember: Avocados from Mexico are harvested year-round, so you can find them in your local supermarket any time of the year! ), but from there, the sky’s the limit. Here are a few of our favorite smoothie recipes to get you started. Then, let your imagination take flight! You don’t need any kitchen skills to make smoothies, but this one is ultra-easy, so it’s a go-to favorite, especially on those mornings when you’re having a hard time tapping into your get-up-and-go spirit. Remember: You can experiment with this base recipe. For an extra Mexican touch, you could add a tablespoon of chia seeds or cacao powder or nibs. With these add-ins, you’ve got a recipe that you’ll be pulling out over and over again. This avocado grape smoothie is delicious any time of year, but we especially love it during the summer months. When the heat index hits the high digits, mix avocado, grapes, yogurt, lemonade, and ice for a refreshing liquid breakfast that will help you get going. 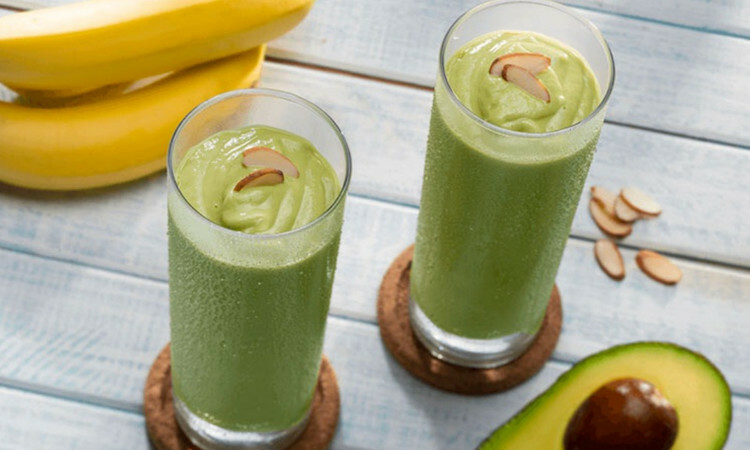 Melons are a summer staple, and this smoothie recipe features avocado alongside honeydew, that lightly sweet, green melon. But don’t feel constrained by this recipe — you can substitute cantaloupe, Canary melon, or whatever’s fresh and on special at the supermarket! This smoothie recipe features raspberries (and the ingredient list calls for frozen, but you can use fresh! ), but again, the full gamut of seasonal berries can be switched in for a half-dozen delicious alternatives. Try raspberries on Monday, strawberries on Tuesday, blueberries on Wednesday, blackberries on Thursday, and mulberries or gooseberries on Friday. With this recipe alone, you’ll have plenty of options to keep you sipping a delicious and healthy breakfast for a week. It may be tempting to skip this recipe (after all, many shoppers and home cooks find choosing a ripe and ready pineapple as mysterious and challenging as determining which avocados are ready to eat), but if you learn a couple of basic tricks, we’re sure this delicious recipe will find itself in regular rotation as part of your breakfast routine. To choose ripe pineapples, look for fresh green crowns and a firm body. The color of the exterior is not necessarily an indicator of ripeness. Pineapples are harvested at peak ripeness and do not continue to mature after being picked, unlike avocados. Also unlike avocados, the pineapple should not yield to gentle pressure. Still worried about choosing a good one? Buy canned or frozen pineapple instead. Which of these recipes is your favorite? And how do you make these recipes your own? Share your photos and stories with us using the #VidaAguacate hashtag online.